Cadillac is all about the connected car with its new 4G vehicles coming soon, which will also benefit from an in-car appstore dubbed CUE (Cadillac User Experience) Collection. According to the car maker, CUE “blends first-of-its-kind technology with highly intelligent design, bringing the intuitive control of smartphones and tablets safely to the road”. According to Cadillac, the 2015 ATS Coupe will be the first of its vehicle to launch with this app platform as well its OnStar 4G LTE system. Based on the carmaker’s site it seems to have gone for a clean, touch responsive platform that integrates natural voice recognition and responsive touch-screen technology. CUE Collection comes equipped with heavy content and navigation capabilities with a 3-D GPS navigation, system2, which has map-integrated Doppler weather reports. Users can also content to all their mobile content via Bluetooth as well as Pandora streaming. “Accessible via an icon on the eight-inch LCD touch screen, the CUE system can organize, update or delete user-downloaded apps throughout the life of the vehicle. Expected initial apps include iHeartRadio, The Weather Channel, NPR and Slacker Radio,” says Cadillac. 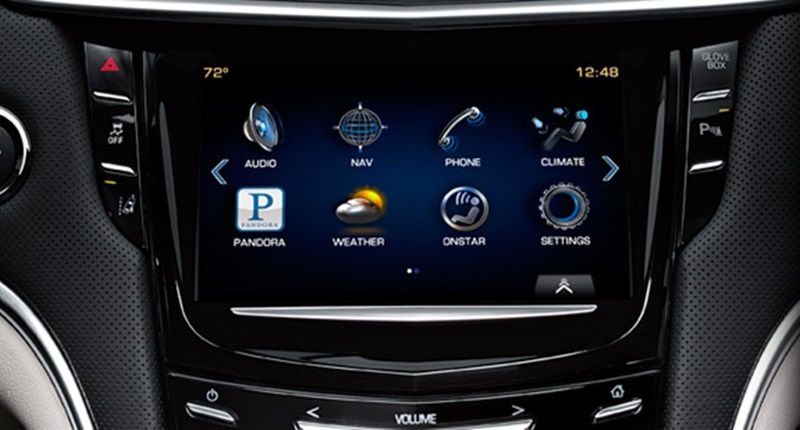 Cadillacâ€™s CUE system also features include Text-To-Voice, this can read a text out loud while connected to Bluetooth. Users can also preload replies when the driver is busy, as in driving. iPhone users can add Siri Eyes Free, which allows them begin and end voice-controlled sessions with Siri. In-car appstores are getting poplar, during CES this year Chevrolet launched its new App Shop, an addition to its MyLink infotainment interface. According to a CNET report, the App Shop allows its to “owners download and install new apps for their car, similar to smartphone app stores”. Currently CUE is an option for the 2015 ATS Coupe base model but standard for the Luxury, Performance and Premium ATS Coupes.